The Dangers of Driving in the Fog | Phoenix Personal Injury Law Blog - Breyer Law Offices, P.C. Fog is one thing that drivers rarely encounter in Phoenix, but when this weather phenomenon does occur, it can make for a serious driving hazard and contribute to a Phoenix car crash. The Arizona Department of Transportation (ADOT) reports around 10 collisions involving fog, smoke, or smog every year, and the resulting four or more injuries should cause drivers to take the time to understand how fog can impact their ability to drive safely and what they can do about it. Here are some things that you should know when driving that can help keep you safe in a pinch, especially if you hit a patch of thick fog, or a long stretch of misty fog. 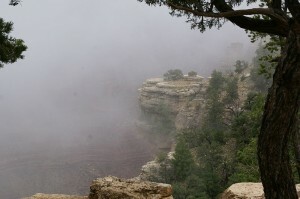 Fog in Phoenix is most common in the winter months, and on days when the air is cold and it has recently rained. Fog occurs when the moisture in the air condenses enough to take on a thick, cloudy form. It is rare to see fog in Phoenix in the summer because the air is too warm for the moisture to condense, but it can happen. If you suddenly find yourself in a patch of fog, slow down. If you are driving along and suddenly find yourself in a wall of low visibility, slow your speed quickly but safely. Try to slow down before entering the fog, if you are able, especially if there are other drivers behind you who may not slow down as quickly and won’t see your vehicle in the patch of fog. When in fog, use the white lines as the guideline for keeping your vehicle in your lane. The white lines on the road should still be visible in fog, but yellow lines may become invisible or difficult to see. If visibility is so poor that you are unable to see the white lines or safely proceed, you should pull over, especially if you are driving through a tricky patch of the city or the freeway. Pulling off the side of the road onto the shoulder and allowing the fog to lift may put you behind schedule, but it can also help you to avoid being involved in a serious accident. Remember to turn off your headlights so that you do not create a glare in the fog that could distract other motorists and create additional hazards. The Husband and Wife Law Team at the Breyer Law Offices, P.C. recommends that everyone keep the tips above in mind when driving in fog. Stay safe!